Why do you love BJJ? I love BJJ because it is never ending and always evolving, it forces me to always be a student. I will never know everything in BJJ so it always keeps me wanting to better myself. Why do you Teach? I teach because of my instructor and the impact he made in my life on and off the mat. My instructor took a hobby of mine and helped me turn it into a career. BJJ has changed my life and has given me a better quality of life. I want to be able to give back. There's no better feeling in the world than being able to help someone set goals and reach them. 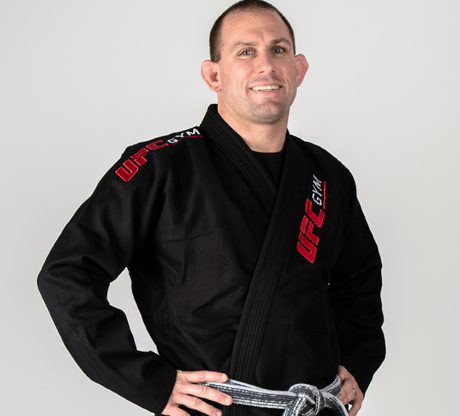 Additional Information: MMA Fighter, 22-8 record; 2005 King of the Mat Champion; 2005 King of the Mat (2nd in Open Division); 2004 California Golden State Champion; 2004 California Golden State Champion (Open Division).